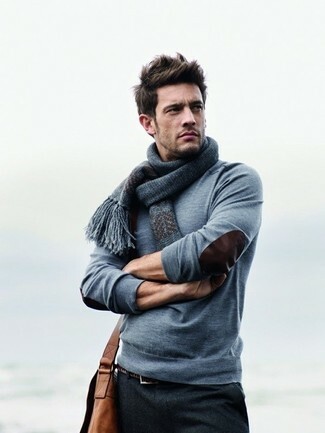 This combination of a grey crew-neck sweater and Nordstrom shop flat front wool trousers is the picture of elegance. 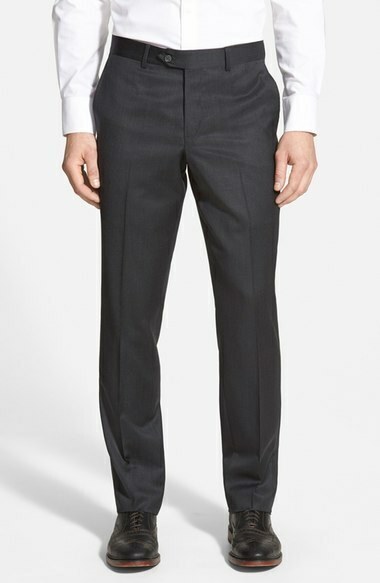 For a nothing less than incredibly stylish look, marry a charcoal crew-neck sweater with Nordstrom shop flat front wool trousers. Rock a pair of white low top sneakers to make the look more current. 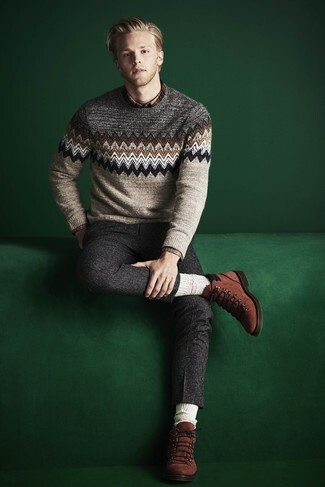 Consider wearing a beige fair isle crew-neck sweater and charcoal wool dress pants for a sharp, fashionable look. Add a more relaxed twist to your ensemble with tobacco suede casual boots. For a nothing less than incredibly stylish getup, pair a burgundy shawl cardigan with Nordstrom shop flat front wool trousers from Nordstrom. 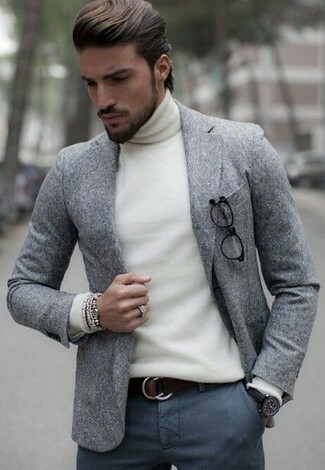 When it comes to shoes, this look is round off perfectly with dark brown leather chelsea boots. 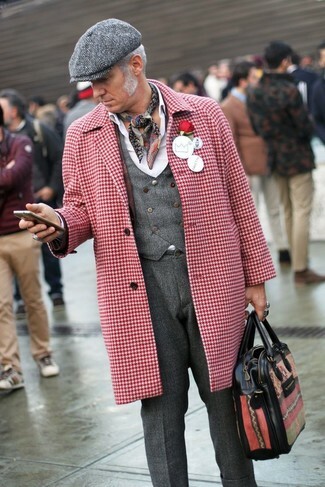 Consider pairing a red and white houndstooth overcoat with charcoal wool dress pants for incredibly stylish attire. 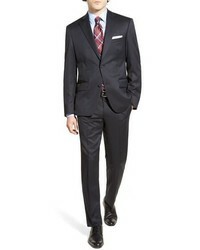 For a nothing less than incredibly stylish ensemble, pair a charcoal pea coat with Nordstrom shop flat front wool trousers from Nordstrom. 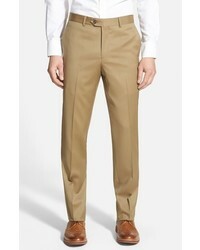 For something more on the daring side to finish off this ensemble, throw in a pair of brown leather brogue boots. 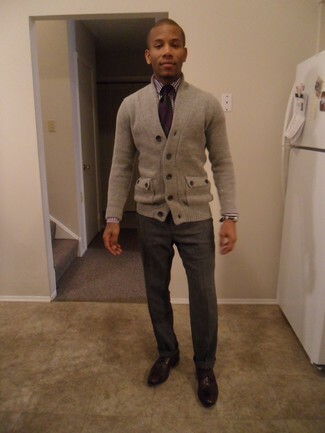 Consider pairing a grey cardigan with Nordstrom shop flat front wool trousers from Nordstrom for a sharp classy look. Grab a pair of dark brown leather derby shoes to make the look more current. 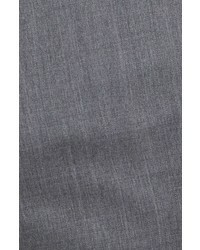 Choose a grey wool blazer and Nordstrom shop flat front wool trousers like a true gent. Go for a black quilted leather bomber jacket and Nordstrom shop flat front wool trousers from Nordstrom for a sharp classy look. Got bored with this getup? Enter dark brown leather dress boots to change things up a bit.